A fith birthday is a day to celebrate for any company, especially in these days where massive multinational companies rule the world and make it incredibly difficult for the little guys to compete. Like all entrepreneurs, there were certainly stressful moments and others of confidence crises when I wondered if I should just give up and go and get a normal job with a decent salary. But perseverance always pays off! Today, Matson & Ridley Safaris is no longer the new kid on the block and with steady, solid growth in both the number of safaris I lead across Africa and those we book for people to travel independently, we're really proud of what we've achieved since we started in Singapore back in September 2013 (when I was 7 months pregnant with our second son, Shep!). We always wanted to create a company that was commercially sustainable so that we could genuinely give back to conservation - and it's happening! We now have our first on-the-ground conservation project through M&R Wild, the Akagera Elephant Project, with field work kicking off this December. Contact us if you'd like to sign up to join next December's project, and combine it with a week on safari with me beforehand trekking with the mountain gorillas and exploring the northern savannahs of Akagera National Park, Rwanda. Furthermore, the tourist dollars we've brought through our safaris to top ethical operators in Africa like Natural Selection, Wilderness Safaris and Asilia Africa have led to many jobs for local people living with wildlife and lots of positive outcomes for local communities and conservation. Take a look at a few of the conservation projects that your safari dollars keep running here. 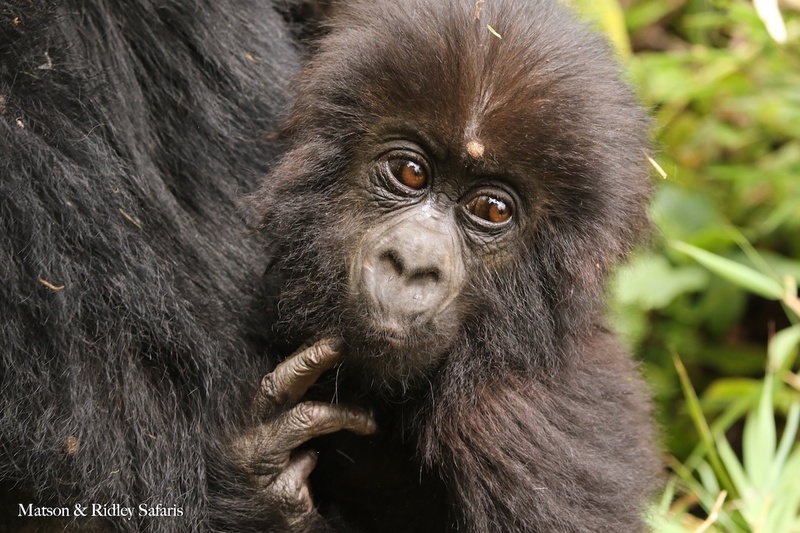 One of the things we're particularly proud of is our contribution through our guests to Rwandan mountain gorilla conservation. In the past year alone, our guests have bought no less than 40 gorilla trekking permits in Rwanda, a contribution of US$30,000 to gorilla conservation! We have lots of favourite camps that we send our guests to because they really tick our boxes in terms of the incredible safari experiences they offer as well as how much they give back. We love safari camps that operate in partnership with local communities, providing a portion of every bed night back to the local people and give a percentage to a local conservation group. A few stand outs that our guests have raved about in the last few years are Ol Donyo Lodge in the Chyulu Hills of Kenya, Naibosho Camp in the Maasai Mara ecosystem of Kenya, Desert Rhino Camp in Namibia, and Ol Pejeta Bush Camp in Kenya (home to the last northern white rhinos). 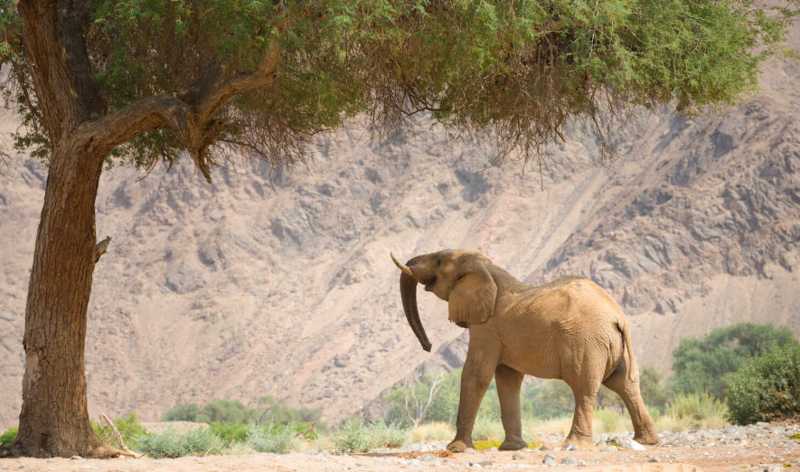 Ones to consider that fall under the banner of Natural Selection, which gives back 1% of turnover to conservation work and works in partnership with local conservancies and conservation groups wherever possible, are Hoanib Valley Camp in Namibia and Sable Alley Camp in Botswana. Picking a safari camp like these will cost you more because of the funds they factor into the price to ensure local people benefit and that conservation of local wildlife in the areas you're visiting is ensured. But it's worth it because the experience is far superior AND going on this kind of holiday is just as good as a donation to charity (if not better)! Andy and I wanted to say a huge thank you to everyone who's supported us in the early years of our company. There's been a few people in particular who I call my 'company angels', who consistently came on my safaris and brought their family and friends year after year, gave us glowing reviews to anyone who was interested and some who even gave me brilliant insights into the business of ethical travel. You know who you are and we are eternally grateful. We don't advertise in the traditional sense and word of mouth is a large part of how we meet new safari-goers so please keep sharing! Today, now based in Cairns, northern Australia, Matson & Ridley Safaris is truly a global company and our clientelle come from all over the world, including Australia, Singapore, Japan, United Arab Emirates, Europe, the UK and USA. We take people all across the best safari countries in Africa, including (but not limited to) Botswana, Namibia, Zimbabwe, Tanzania, Kenya, Rwanda, South Africa, Madagascar and Zambia. If there's an adventure to be had in a part of Africa where nature is in charge and there are comfortable safari tents under an Acacia tree, we are there with sundowner in hand! I've compiled a short video to celebrate some of the wonderful memories of our safaris in the last five years across the African continent. If you've had a great time on safari with us, please spread the word and better still, come and join us again! Click here to see what safaris I'm leading in 2019 or get in touch and let us arrange your ultimate African adventure!